FRANKLIN, Tenn. – The Tennessee Advanced Energy Business Council (TAEBC) bestowed the first-ever Thomas B. Ballard Advanced Energy Leadership Award to Ballard himself, during TAEBC’s Annual Meeting on Tuesday, February 12, 2019 at Schneider Electric’s Nashville Hub. The Tennessee Advanced Energy Business Council champions the state’s advanced energy economy as an economic development and job creation strategy through sharing information, connecting stakeholders, and strengthening the industry. These pillars are personally exemplified by the tireless work of Tom Ballard, an unparalleled leader, educator, mentor, and advocate of Tennessee advanced energy economy. 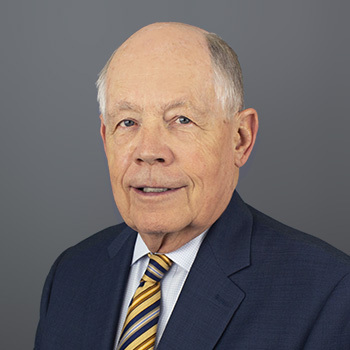 Ballard was TAEBC’s first president upon its launch in 2014 and served on the board of directors until 2019. He is the Chief Alliance Officer of Pershing Yoakley & Associates, a Knoxville-based professional services firm with a national footprint in healthcare consulting. He also serves as editor of Teknovation.biz, a web-based service launched in 2011 to spotlight and celebrate all things related to technology, innovation and entrepreneurship in Tennessee. TAEBC announced the Thomas B. Ballard Advanced Energy Leadership Award will be an annual award, accepting nominations every year and presenting the winner with the honor at future annual meetings. KNOXVILLE, Tenn. – The Energy Mentor Network is pleased to announce Stone Mountain Technologies Incorporated (SMTI) has graduated from its mentorship program, which cultivates energy entrepreneurship and startups in the Volunteer State. The late-stage startup, based in Johnson City, Tennessee, has developed replacements for furnaces, boilers, and hot-water heaters that save 30-50% off heating costs for homeowners and light commercial building owners. For example, a “Heat Pump Furnace” can replace conventional furnaces with a well-proven thermodynamic process (the absorption cycle) that draws up to one-third of its energy from the outside air – even in the dead of winter. This makes it a true cold-climate heat pump (no need for backup) and an excellent solution for saving money and lowering environmental emissions. The process can be powered by natural gas, propane, heating oil, or even biofuels, making it globally applicable wherever warm buildings are needed. The previously prohibitively expensive technology has been redesigned and configured by SMTI for a low-cost, highly scalable manufacturing platform, which gives existing HVAC manufacturers an opportunity for an innovative new product with a strong new competitive advantage. SMTI will manufacture the core “Thermal Compressor” part of the technology in Johnson City, serving aggregated global demand across many building heating products. In turn, the major manufacturers of HVAC products will purchase and then turn SMTI’s Thermal Compressor into final products that serve their existing markets and customers. In this way, SMTI leverages the strengths of the industry’s current sales and distribution networks; achieving the fastest path to large volumes. The Energy Mentor Network exists to help Tennessee startups like SMTI succeed in the advanced energy marketplace. The intensive, structured program pairs promising new companies with experienced mentors and guides them through the development of strategic business, marketing, and financial plans. Companies must complete a series of milestones involving panel presentations to graduate. SMTI achieved substantial progress following its initial engagement with Energy Mentor Network in March 2017. The company secured an important Seed investment in early 2018 from a strategic investor who brings useful manufacturing expertise and other value to the venture. The investment enables SMTI to increase technology development velocity, smoothing its transition from R&D to manufacturing. The East Tennessee startup was also awarded a $2.7 million grant in August 2017 from the U.S. Department of Energy to accelerate, with an OEM partner, the commercialization of its residential furnace replacement. In addition to Entrepreneur-in-Residence Gary Rawlings, who is a technology consultant for Oak Ridge National Laboratory’s Innovation Crossroads and entrepreneur-in-residence at Cumberland Emerging Technologies Life Sciences Center, the mentor team for SMTI included Ryan Stanton, head of strategic energy initiatives at the Tennessee Department of Environment and Conservation; Jonathan Patrick, founder of SouthFound Media; and Lynn Youngs, executive director of the University of Tennessee’s Anderson Center for Entrepreneurship and Innovation. SMTI is the second startup to graduate from the Energy Mentor Network, run by the Tennessee Advanced Energy Business Council (TAEBC) in partnership with Launch Tennessee and first launched in 2016. The program’s first graduate was Solar Site Design, a Nashville-based venture that connects sales-ready commercial and industrial solar projects to top solar construction companies to drive down consumer acquisition costs. Seven other Tennessee-based startups are currently enrolled in the mentorship program. Tennessee is emerging as a powerhouse in the growing $1.4 trillion global advanced energy market. TAEBC’s 2018 Advanced Energy Economic Impact Report found that advanced energy contributes $39.7 billion to the state’s GDP. The industry employs nearly 360,000 Tennesseans and supports more than 18,170 businesses. Advanced energy is growing faster than the overall state economy, thanks in part to efforts like the Energy Mentor Network and its support for energy entrepreneurship. KNOXVILLE, Tenn. – The advanced energy sector is so strong in Tennessee that it outperforms the state’s overall economy, employing nearing 360,000 Tennesseans in more than 18,000 businesses that contribute almost $40 billion to the state’s GDP. All this according to the 2018 Tennessee Advanced Energy Economic Impact Report released today by the Tennessee Advanced Energy Business Council (TAEBC). TAEBC is a statewide organization that champions advanced energy as an economic development and job creation strategy. The 2018 report builds on data first analyzed by TAEBC’s 2015 Economic Impact Report, the inaugural study on the impact of the advanced energy sector in Tennessee. The report details the scale and scope of the state’s advanced energy sector, quantifies its economic impact, and charts trends in advanced energy since the 2015 study was released. It pinpoints the number of jobs and businesses associated with advanced energy, as well as the sector’s contributions to state GDP and state/local taxes. Advanced energy is a job-creation engine for Tennessee. The advanced energy industry employs 358,360 Tennesseans and supports 18,170 business establishments. Advanced energy accounts for nearly 14 percent of total state employment. Workers in the state’s advanced energy sector earn an average wage of $59,665, significantly higher than the state’s economy-wide average of $44,317. Tennessee’s advanced energy sector is growing faster than the overall state economy by a significant margin. Employment in Tennessee’s advanced energy sector has grown by 10.3 percent, while the state economy overall has seen a growth rate of 8.3 percent. The number of advanced energy business establishments in the state grew by nearly 5 percent. Both state and local sales tax revenues have increased by over 30 percent. Advanced energy boosts both the state and local economies. Tennessee’s advanced energy sector generates $39.7 billion in the state GDP. It contributes approximately $823 million to state sales tax revenue, and approximately $289 million in local sales tax revenue. Advanced energy is well-positioned to drive further economic development in Tennessee. The advanced energy industry represents a sound candidate for inclusion as a statewide targeted industry cluster. Tennessee and its local communities commonly target specific industries and industry clusters as part of their broad-based economic development strategies. These targets then become the focus of business recruitment, expansion and retention strategies through a variety of policies including marketing, workforce development, infrastructure development and incentives. Advanced energy is technology-neutral, and includes any technology that makes energy or transportation cleaner, safer, more secure, and more efficient. Examples include wind, solar, and new nuclear technologies, electric and plug-in hybrid vehicles, lightweight composites in the automotive industry, natural-gas fueled trucks, bioenergy, pollution-control equipment, smart grids, combined heat and power, high-performance buildings, more efficient industrial technologies, and power reliability. Advanced energy represents a booming $1.4 trillion global market – that’s nearly twice the size of the worldwide airline industry and nearly equal to global apparel revenue. In addition to statewide data, the 2018 report analyzed Tennessee’s advanced energy sector by metro area, including regional information on advanced energy in Nashville, Memphis, Knoxville/Oak Ridge, Chattanooga, Tri-Cities, Clarksville, Morristown, Jackson, and Cleveland. It further tracks Tennessee’s advanced energy economy down to county-specific data. The analysis is based on NAICS code and Census Bureau data from 2016, the most recent year for which this information is available. The Nashville metro area is the largest contributor to Tennessee’s advanced energy sector, employing more than 115,000 workers. The Memphis metro area comes in second, with 55,750 employees in advanced energy. Even with these concentrations, advanced energy reaches all 95 counties in Tennessee because the sector is a cluster of diverse industries with strong growth potential not tethered to urban areas alone. Research for the 2018 Tennessee Advanced Energy Economic Impact Report was conducted by the Howard Baker Jr. Center for Public Policy. Funding for the report was provided by the University of Tennessee, the Energy Foundation, and Tennessee Advanced Energy Business Council members. Click here to read the 2018 Tennessee Advanced Energy Economic Impact Report in full. The Tennessee Advanced Energy Business Council (TAEBC) celebrated the one year anniversary of the Energy Mentor Network’s launch at TAEBC’s annual “Opportunities in Energy” event on December 7 at The Square Room. The network, run by TAEBC in partnership with Launch Tennessee, was announced during last year’s “Opportunities in Energy” event, which showcases the state’s lucrative advanced energy industry and recent achievements in the field. The Energy Mentor Network’s goal is to foster the growth of Tennessee advanced energy startups by connecting entrepreneurs with mentors and industry specific expertise. Since last year, the network doubled the number of mentors in the program to 25 with expertise ranging from energy systems, clean tech, intellectual property, business and finance strategy. Six companies are currently enrolled in the Energy Mentor Network. Earlier this year, the network also recognized its first graduate, Solar Site Design, which achieved significant traction while enrolled in the Energy Mentor Network. Headquartered in Nashville, Tennessee, Solar Site Design is a collaborative, cloud-based marketplace platform that connects sales-ready commercial and industrial solar projects to top solar construction companies to drive down customer acquisition costs. Solar Site Design is partnering with leading solar panel manufacturers that will help to attract more construction companies to subscribe to its Commercial Marketplace platform. TAEBC also unveiled a fourth part to its video series at the event, showcasing Tennessee’s advanced energy entrepreneurs and the resources available within the state to foster their growth. The purpose of the Energy Mentor Network is to develop quality startups. The Network pairs industry expert mentors with promising new companies through a structured program involving panel presentations and mentoring sessions. After completing the program, startups will have an investable pitch deck, a rock solid business model and a plane to establish more traction. These tools will position Tennessee’s entrepreneurs to raise capital, request other funds like SBIR grants, and scale their company. The Energy Mentor Network is modeled after CONNECT San Diego’s 30+ year old Springboard program. Each company or entrepreneur is matched with a team of C-level executives who have deep experience in growing and scaling companies. This mentoring team is led by the Entrepreneur-in-Residence (EIR) that coaches and guides their company through The Energy Mentor Network’s program for a period of 3-9 months. The Tennessee Advanced Energy Business Council champions advanced energy as a job creation and economic development strategy. It educates public officials and business leaders about the value and job creation potential of Tennessee’s advanced energy economy, establishes strategic partnerships to connect assets with opportunities and informs policy that expands and strengthens the industry. Launch Tennessee is a public/private partnership that fosters entrepreneurship, high-growth startups and capital in the state. We serve entrepreneurs by working with six regional Entrepreneur Centers to deliver funding and services, by implementing entrepreneurial programs and by engaging in activities to grow capital. To support startups commercializing technology, LaunchTN partners with leadership groups in the state’s key industry sectors to operate networks in the life science and advanced energy sectors. LaunchTN is proud to work with Life Science Tennessee and the Tennessee Advanced Energy Business Council to operate these programs for Tennessee entrepreneurs which have served 28 startups, who have raised over $14M in funding. The Energy Mentor Network, a mentorship program that supports energy entrepreneurs and startups in Tennessee, has announced its first graduate, Solar Site Design. The Energy Mentor Network is run by the Tennessee Advanced Energy Business Council in partnership with Launch Tennessee. The goal of the Energy Mentor Network is to foster the growth of Tennessee advanced energy technologies and startups by connecting entrepreneurs with mentors and industry specific expertise. The Network pairs mentors with promising new companies through a structured program involving panel presentations and mentoring sessions. Headquartered in Nashville, Tennessee, Solar Site Design is a collaborative, cloud-based marketplace platform that connects sales-ready commercial and industrial solar projects to top solar construction companies to drive down customer acquisition costs. Solar Site Design achieved significant traction while enrolled in the Energy Mentor Network Program. More than 85 construction companies from 27 states have subscribed since the marketplace launched last year. Solar Site Design was among the first pool of applicants to be accepted in November 2016, and the company received strategic business, marketing, and financial guidance by completing a series of panels and discussions with its mentors. “Solar Site Design is on track to double Commercial Marketplace memberships by the end of 2017 and standardize ‘behind the meter’ commercial solar origination nationwide,” said Jason Loyet, Founder of Solar Site Design. The company is partnering with leading solar panel manufacturers that will help to attract more construction companies to subscribe to its Commercial Marketplace platform. The mentor team for Solar Site Design included Entrepreneur-in-Residence Harvey Abouelata, Vice President of Commercial Solar at Solar Alliance; Coleman Adams, Managing Director of Crescendo Power; and John Hopkins, interim CEO of the Institute for Advanced Composites Manufacturing Innovation. In 2015, Solar Site Design won the U.S. Department of Energy’s SunShot Catalyst award for its innovation on driving down the cost of solar through its software platform. The company was also invited to participate in Launch Tennessee’s annual pitch competition at 36|86, the Southeast’s premier entrepreneurship and technology conference in 2017. Tennessee has emerged as a leader in the $1.4 trillion global advanced energy market. TAEBC’s Advanced Energy Economic Impact Report found that advanced energy contributes $33.4 billion to the State’s GDP, employs nearly 325,000 and includes 17,000 businesses. Mentorship to energy entrepreneurs is critical to growing advanced energy’s economic impact in Tennessee. The Energy Mentor Network is run by the Tennessee Advanced Energy Business Council in partnership with Launch Tennessee and is modeled after CONNECT San Diego’s 30+-year-old Springboard program. Each company or entrepreneur is matched with C-level executives who have deep experience in growing and scaling companies. This mentoring team is led by the Entrepreneur-in-Residence who coaches and guides their company through the Energy Mentor Network for three to nine months. The Energy Mentor Network has two dozen mentors with expertise in energy systems, clean tech, intellectual property, business and finance strategy. Applications are open for mentors and startups to participate in the Energy Mentor Network. For more information and to apply, visit: http://www.tnadvancedenergy.com/energy-mentor-network/apply/. The Tennessee Advanced Energy Business Council champions advanced energy as a job creation and economic development strategy. It educates public officials and business leaders about the value and job creation potential of Tennessee’s advanced energy economy, establishes strategic partnerships to connect assets with opportunities and informs policy that expands and strengthens the industry. For more information, visit www.tnadvancedenergy.com. Launch Tennessee is a public/private partnership that fosters entrepreneurship, high-growth startups and capital in the state. We serve entrepreneurs by working with six regional Entrepreneur Centers to deliver funding and services, by implementing entrepreneurial programs and by engaging in activities to grow capital. To support startups commercializing technology, LaunchTN partners with leadership groups in the state’s key industry sectors to operate networks in the life science and advanced energy sectors. LaunchTN is proud to work with Life Science Tennessee and the Tennessee Advanced Energy Business Council to operate these programs for Tennessee entrepreneurs which have served 28 startups, who have raised over $14M in funding. For more information visit launchtn.org.